KonFusion Chameleon Color Changing Paint Basecoat Quarts - Buy Custom Paint For Your Automobile Or Motorcycle At Discount Prices! You will receive one (1) full quart of UreKem's KonFusion Chameleon Flip Flop paint basecoat in the color of your choice. 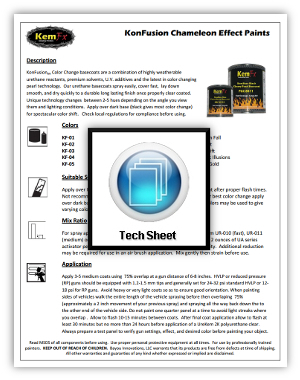 This is a full strength, chameleon color changing paint that is unreduced (not watered down). This color changing paint is in basecoat form and requires a durable clearcoat like our UreKem topcoat clears found on this site. KonFusion Chameleon flip flop paint basecoats are made from durable urethane co-reactants and the latest in Chameleon flip flop paint technology to create a durable basecoat with jaw dropping color change at an affordable price. 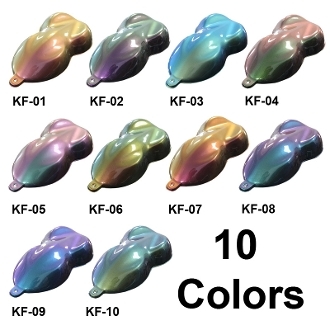 Maximum color change is achieved over black bases but titanium based chameleon pearls (KF-02, KF-03, KF-04, KF-05, KF09) can be used over lighter colors for unique color stylings with less color change. Colors in the attached photos and video are all shown over black base. Requires clearcoat for exterior use. 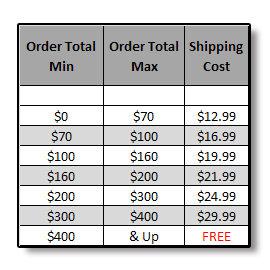 We also have listings for kits that contain black base, KonFusion Color, Clear, and all the activator and reducers required for one low price. Mixes 2:1 with UreKem urethane reducer. The amount of paint depends on a lot of factors but generally one car kit will paint the outside and jambs on mid-sized vehicles. Large SUVs or large trucks where you are spraying inside the bed will need additional paint. One moto kit will handle most bikes. The experience level of your painter with chameleon paints will play a big role in how much paint is used and the likely quality of your completed paint job. Chameleon colors are hard to paint so choose your painter wisely. We recommend you use a UreKem branded clear to ensure compatability and long term durability. We offer two selections and both clears are great clears so go with the type of clear you are most accustomed to spraying. Novice painters typically find the MS clear easier to work with while experienced painters who prefer a thicker higher solids clear tend to prefer the HS Glamour clear. Use the UreKem urethane reducer best suited to the size of the part you are painting and the temperature you are painting. Generally speaking you should use medium reducer up to 85 degrees then switch to slow when painting a car When painting a bike or other smaller object use fast reducer up till 75F then switch to Medium.